Aptly named after the wide blue arc of waters and beautiful beaches off Saint Lucia's northern coast, Rodney Bay is home to some of the island’s most popular hotels, both beachside and in the village. This horseshoe bay also has the island’s first casino, a stunning man-made lagoon and modern marina. Offering a variety of entertainment both day and night and a large selection of shops, restaurants and bars, it is an ideal choice for your stay in Saint Lucia. Peak season – which means the best weather but also a hike in rates – runs from mid-December to April. If you’re looking to get a bit more value for money, the summer and autumn months are cheaper, but you are susceptible to high humidity and more rainfall during these times. Hurricane season is also something that needs to be factored in, with September and October being the likeliest months where you’ll catch a storm (though June all the way through to November does incorporate this hurricane season). For a compromise between it all, May is a good month to aim for (and also coincides with the yearly jazz festival). Rodney Bay has plenty going on, but we’d advise casting your net a little further afield for some of the best that the island has to offer. 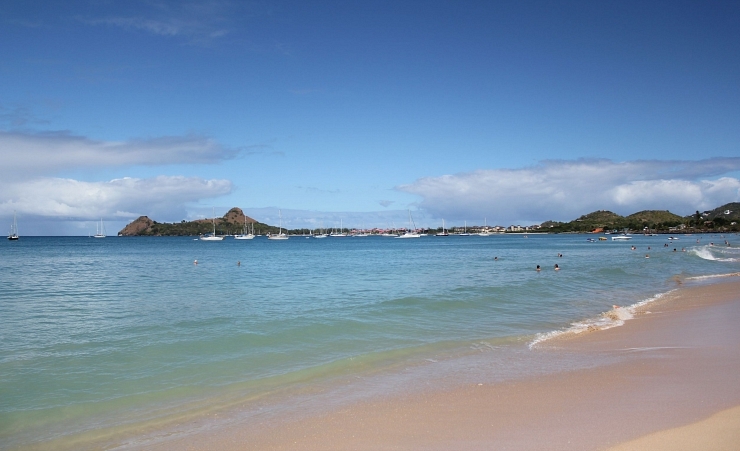 Pigeon Island National Park, for example, was originally a fort built to protect Saint Lucia, and is now home to picturesque trails, private beaches and the ruins which date back to its fort history. Or to see the coastline from a perspective few get to enjoy, the boat trips that leave from Rodney Bay are simply delightful, especially if you time it just so and catch the epic sunset. 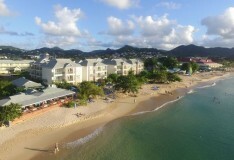 Rodney Bay’s Reduit Beach is, simply put, one of the best to be found anywhere in Saint Lucia. 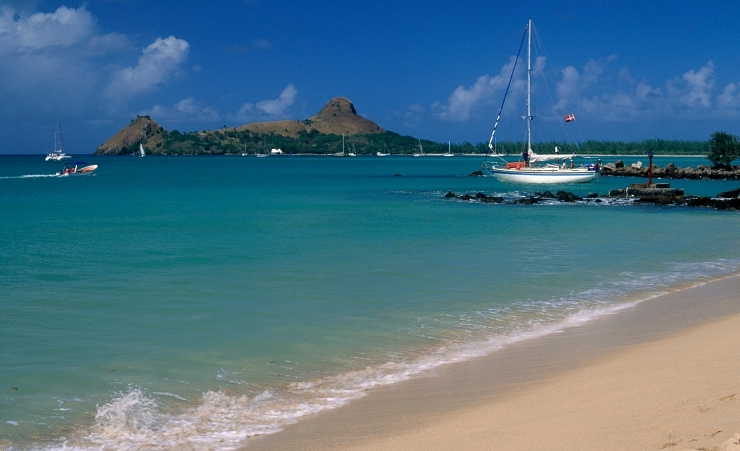 And when you consider that this island is renowned for its picture-perfect coastline, that’s quite the compliment. The powder-soft sand is backed by rolling green mountains, but it’s not just the scenery that makes this spot so popular. 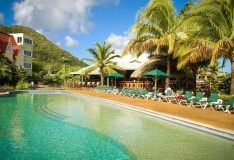 The water sports on offer are second-to-none, including snorkelling, diving, banana boats and even an inflatable park. And there’s a host of waterfront bars for when you’re done. When combined with the nearby Gros Islet, it’s fair to say that the area of Rodney Bay has the best dining options anywhere on the island. Along the beach road, near the entrance to the strip and, of course, on the sleek Rodney Bay Marina, you’ll find a plethora of mid- and top-end restaurants. When it comes to nightlife in this part of town, there’s only one thing worth mentioning, and that’s the ‘Jump Up’ street parties that are hosted by Gros Istel every Friday night. Local food served from shacks, local beers and rum, calypso music and straight-up good times are to be expected. Not quite cool enough for you? In that case, we’ll also make mention of the chic cocktail bars that are dotted around the Marina, which will let you look cool and hip, as you sip your straw and watch the yachts coast by. The best example of local history is to be found at Pigeon Island’s crumbling fortress. To the north you will find Gros Islet which is a fishing village that’s simply perfect for meandering through the streets and getting a real taste of local life, which includes checking out the many rum shops and fishing shacks that are found here. The hikes, quad biking or mountain bike trails through the National Park are sure to quell the adventurer inside you. The many water sports available at the bay are also sure to appease any adrenaline junkie, host as it is to kite surfing, diving and snorkelling (to name but a few). While the boat trips around the shoreline are simply not to be missed. There are a number of taxis to be found outside the large hotels and resorts. For a less expensive option, there are buses connecting Rodney Bay/Gros Islet with Castries. And we’d also recommend getting around on foot as much as you can, so you can appreciate the beautiful surroundings. 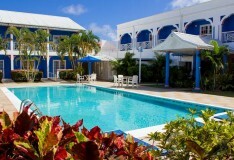 Why holiday in Rodney Bay?